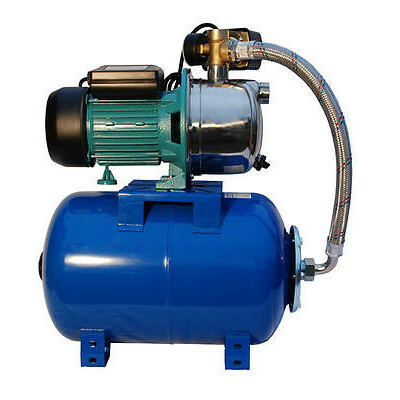 Suitable for domestic or light agricultural applications our high quality Parker water booster pump with 24L pressure vessel was designed to be tough, reliable and exceptional value for money. Perfect for increasing water pressure in low level areas our water booster will ensure a steady supply to each outlet for uninterrupted service. The stainless steel body and cover of our water booster are all corrosion, heat and chemical resistant for a long-lasting product you can trust in. The intelligent Thermal Overload Protector protects against electrical fluctuations, changing temperatures and much more, for total peace of mind. Capable of 50 litres per minute this neat water booster bump is perfect for residential use.